Quinn Barrett (@QuinnBarrett or twitter) opens host Craig Price’s eyes to the world of digital publishing. 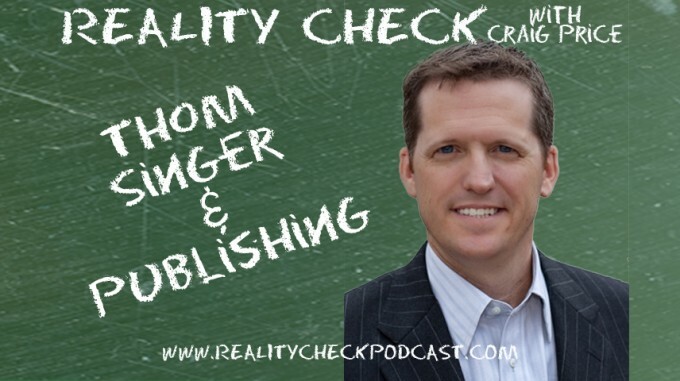 Quinn is the host of the All Thing Digital Media podcast and co-founder of Wise Bear Books, a digital media project management company specializing in getting independent authors and content creators out into the marketplace. She and Craig cover a lot of ground including the technical aspects of eBooks, formatting, why Craig’s book “Half a Glass: The Realist’s Guide” and all its footnotes are stopping it from being digital and even some marketing goals like “What is your book for? Profit or exposure?”. Quinn also talks about the growing advancements in digital books becoming more interactive with video and links. And that’s just the tip of the iceberg!